This very hardy bamboo is quite modestly sized (with an eventual height of around 3m), so is ideal for smaller gardens or large pots. It has slender, upright to arching canes, which are clothed in attractive green leaves throughout the year. Eventually forming dense clumps, the new canes emerge a bright green, which contrast well with the culm sheaths, creating a distinctive two-tone effect until the sheaths drop away. Garden care: Do not allow to dry out while the plant is getting established. 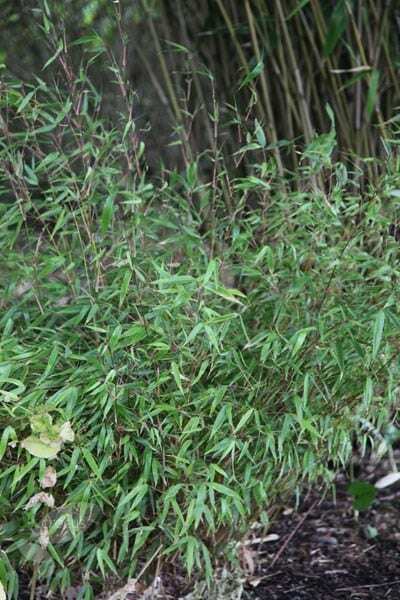 This is a clump-florming bamboo, but if you want to restrict the plant's spread, plant it in a large container, or surround the roots with a non-perishable barrier. My plants came on time, were very well packaged and looked healthy. Several months later they still look healthy, have grown well and look lovely. I placed this plant in my border to add some texture and attractiveness. It is really beautiful. My only sadness, is that I did not order this plant several years ago, and I have to wait for it to mature! Great bamboo looks good in a planter. Hi, would it be ok to plant this now - i.e. just before XMAS or should I wait until the Spring? Hello there As a general rule plants that are grown in containers can be planted at any time of year as long as the soil isn't frozen solid, or freezing outside. The best times are in the autumn when the soil is still warm enough to encourage root growth but the plant isn't in active growth, or the spring before the temperatures start to rise. This bamboo is fully hardy so yes you can plant it now as long as the conditions are right, otherwise you can keep it outside in a sheltered spot until you can plant it in the spring. Hi Helen. I want to plant a 1-2 metre length of hedge against a fence to screen the back of my house from semi detached neighbour (they can see into my lounge due to slope of their garden). Preferably quick growing evergreen, up to 3 metres tall that is dense but can be kept quite thin so it doesnt take up too much room. I have heavy clay soil and the area faces south/west so gets full sun after 11am. Was thinking of this or Pyracantha - do you have any ideas? Thank you. Hello, This plant has an eventual spread of around 5', so it is going to be very cramped in a 2' wide bed. I would therefore recommend lifting some of the paving and then use the bamboo control system to keep the roots in check. http://www.crocus.co.uk/product/_/bamboo-control-system/classid.2000019273/ As for planting distances, if you want to create a screen within a reasonable time, then I would recommend planting them at 45cm intervals. I have had a bamboo in my garden for about 7 years. This year it has no discernible new growth and the old leaves are turning yellow. The whole plant looks sick. It is in a sheltered site which gets plenty of sun in the afternoon. Can you help me save it? Hello, There are a couple of things that spring to mind here. The first is that it is still a little too early for many bamboos to be showing signs of growth, particularly after such a cold spring. 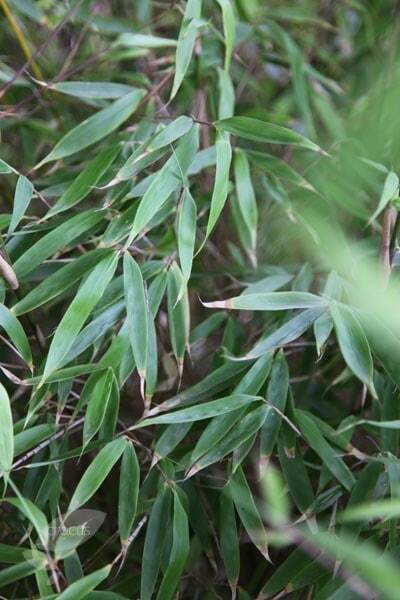 Bamboos tend to have one main surge of growth in June, so just keep watering it and give it a feed of general purpose fertiliser (Growmore would be ideal) and it should start to send up new shoots soon. The other thing that may have happened is that the plant has flowered. This happens quite infrequently, but it usually weakens the plant substantially. You should look closely for any flowered stems and cut them right back to the base. Feed and water as above and again it should recover. Hello, As a very rough guide, the plants in a 5 litre pot will be approximately 50 - 80cm tall. Hello, We have two pots 1.5m long, 64cm deep and 24cm wide they are to be planted with bamboo to form a screen, ideally being a thin hedge about 3m high. Will the bamboo survive in such pots and which would you recommend? We are thinking of the black bamboo and/or a clump forming one. The pots are made from solid larch and sat next to a 6 foot fence and on our deck we wish to have a nice screen from the neighbours you see and would really appreciate your expert advice. Many thanks.